The European PRRS strain was detected by RT-PCR with a CT of 21.2. Results came back negative to Mycoplasma hyopneumoniae (enzootic pneumonia), swine Influenza and PCV-2 by RT-PCR. 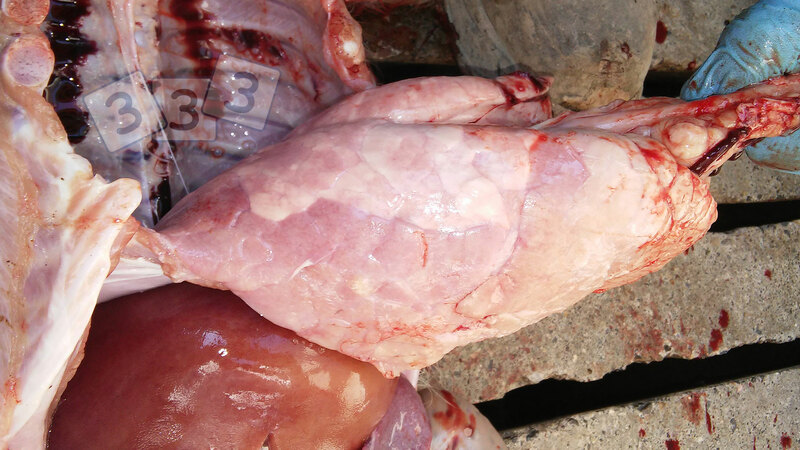 The unit was vaccinating the weaners against Mycoplasma hyopneumoniae and PCV-2 at weaning. The breeding herd was PRRS positive and was vaccinated with a live attenuated PRRS vaccine. However, weaners were not vaccinated. The unit had increased from 600 to 1,000 sows recently and it has caused overstocking in the weaning houses.